The 737 began its final descent into Mexico City shortly after midnight; the jet-black sky preventing me from seeing my first glimpse of the largest city in North America sprawled out below. 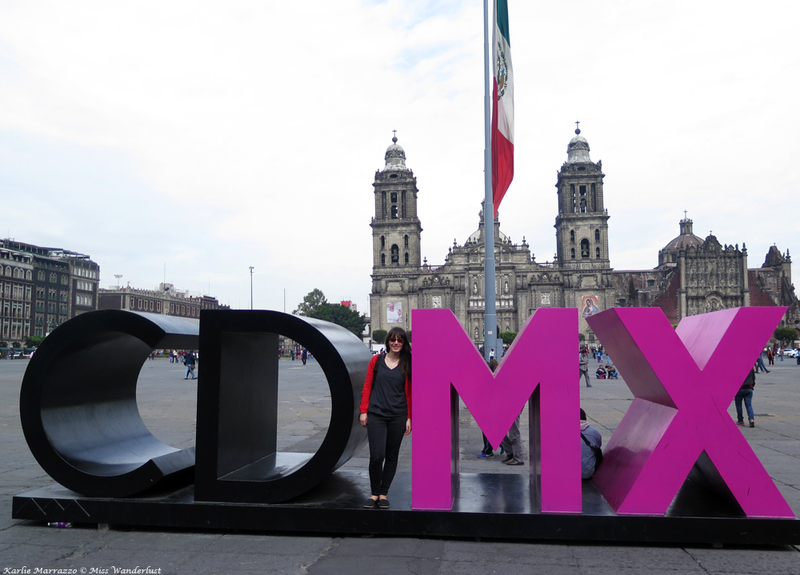 Mexico is one of the top destinations for Canadians year after year, yet it was my first time visiting the country. The majority of those tourists plop themselves down beside the resort pool and don’t move for a week, but our plans were different. 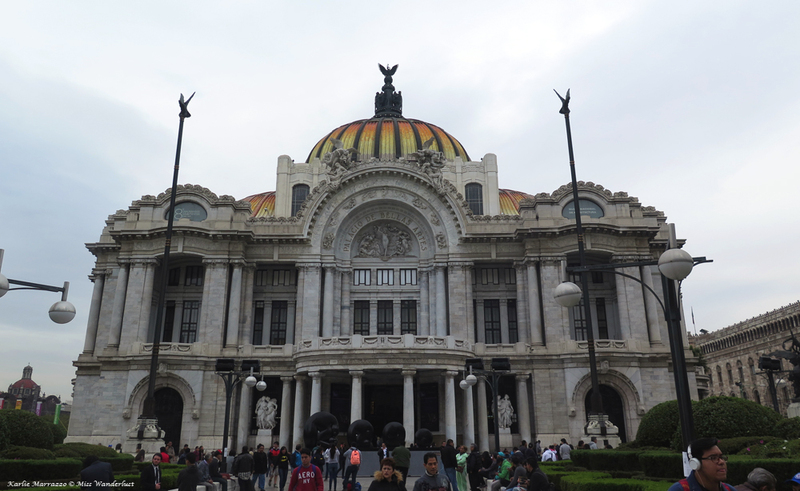 My travel partner and I are avid travelers and some of our vacation destinations in the past have garnered quizzical looks, and Mexico City was no exception. 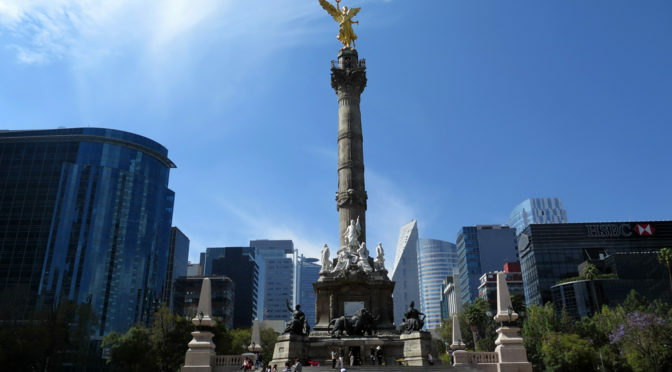 The city is a hub of Mexican culture, the home of brilliant examples of many architectural styles; it claims to have the most museums in the world, is a Mecca of Mexican cuisine, and is near to some of the most important ruins around. Despite all of this, it is often dismissed as a travel destination due to preconceived misconceptions about safety and culture. After a wild taxi ride from the airport to the trendy Roma neighbourhood, we checked into our Airbnb and crashed for the night. The next morning we were ready to hit the pavement and discover our surroundings. The temperature was already 17C at breakfast time, paradise for two Canadians in January. Locals and their dogs walked by bundled up from head to toe in hats, scarves and boots, with the pups in jackets to match. I had never seen so many well-dressed dogs anywhere in my life. Sunday morning was bright and crisp. 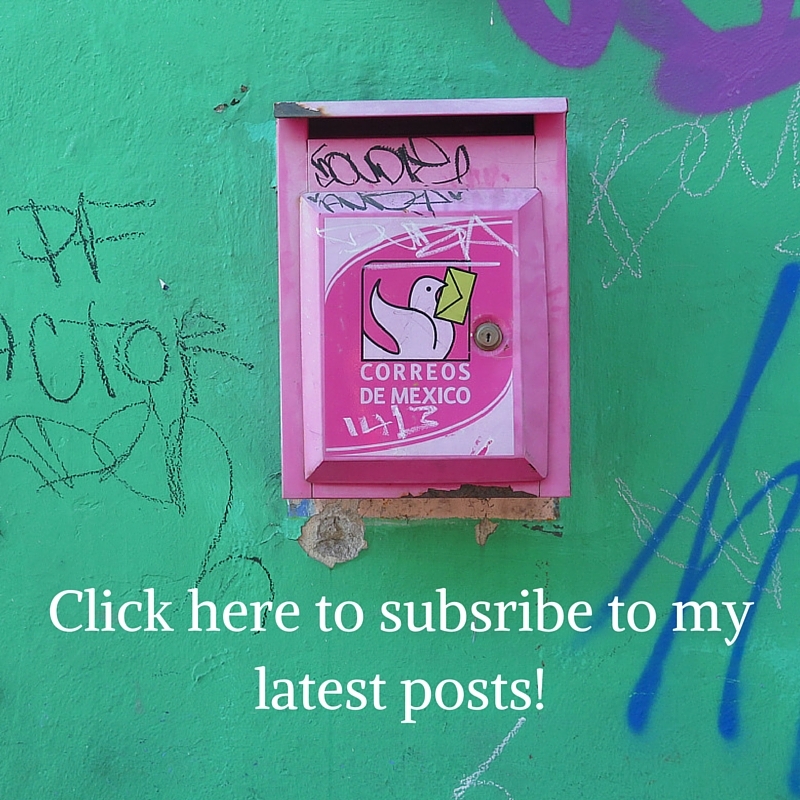 The streets of Condessa were nearly bare as we strolled to a tiny café for breakfast while the rest of Mexico City was still behind closed doors. 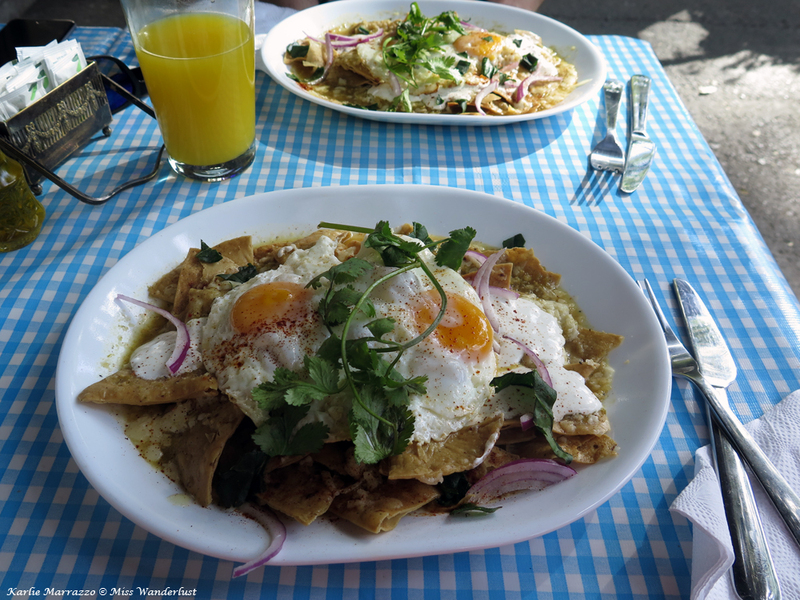 We feasted on chilaquiles, tortilla chips bathed in green salsa and topped with fried eggs, while chatting with the incredibly friendly café owner. 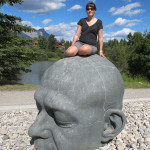 Her husband happened to be obsessed with Canada and the idea of visiting the Rocky Mountains, a place near and dear to me. 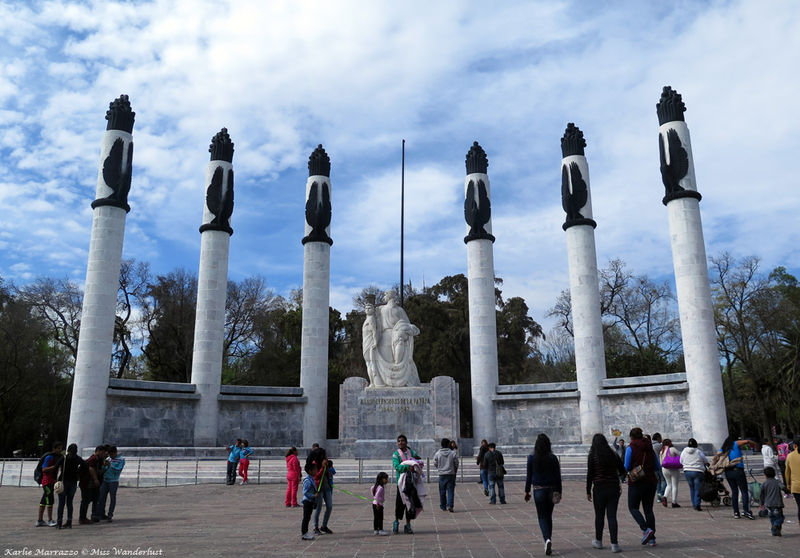 After stuffing ourselves silly, we came to Chapultepec Forest, a massive urban park that act as the lungs, and heart, of the city. Rivers of people flowed around us as we swam upstream through the park. Stalls lined every inch of sidewalk, vendors offering up wrestling masks, t-shirts, shoes, bags, mountains of candy, all kinds of food and any other souvenir imaginable. We made it through the crowd, past the imposing Altar de la Patria to the Museum of Modern Art. 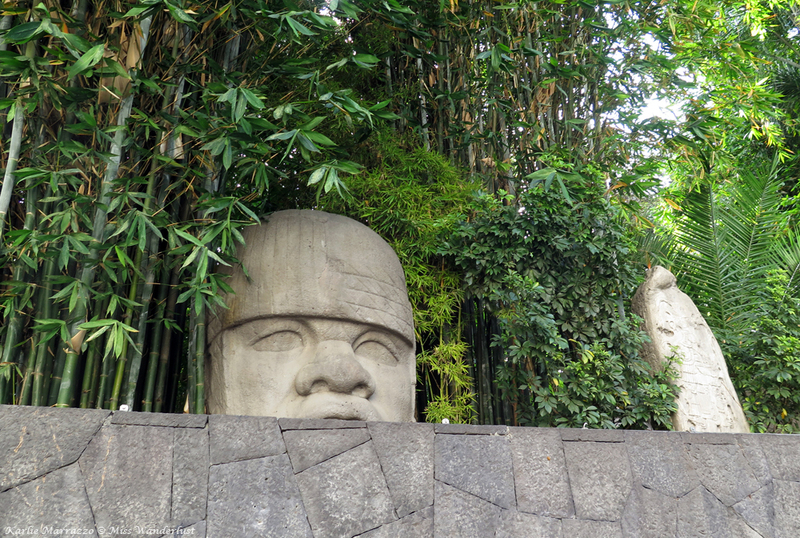 The circular building is modest in size but holds works by an impressive list of artists – big names like Frida Kahlo, Diego Rivera and Rufino Tamayo. The main collection introduced us to compelling Mexican artists like Remedios Varo, Juan O’ Gorman, David Alfano Siqueiros and Antonio Suaro. 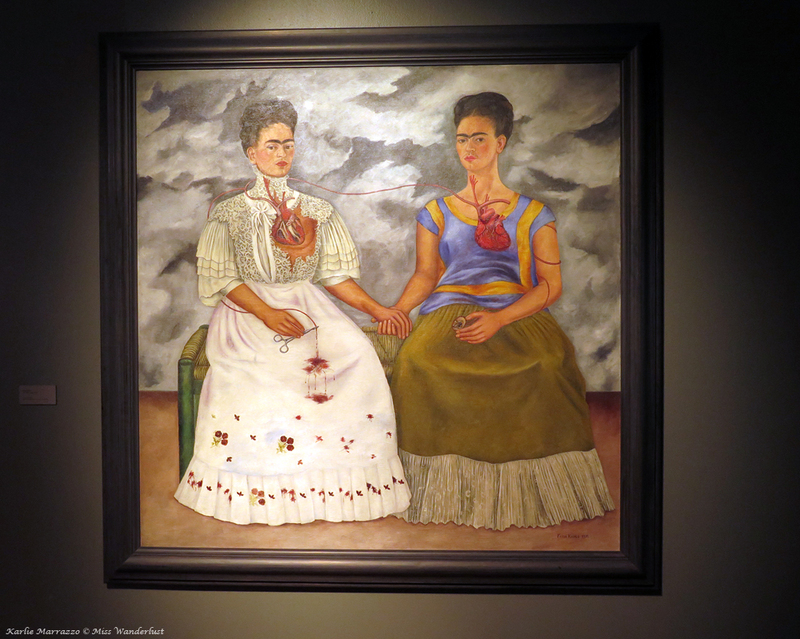 I was absorbed by Las dos Fridas (The Two Fridas), a large-scale painting that is one of the few Kahlo pieces in the museum. The most striking and disturbing piece in the gallery was Nuestra Maravillosa Civilización by Juan O’ Gorman. 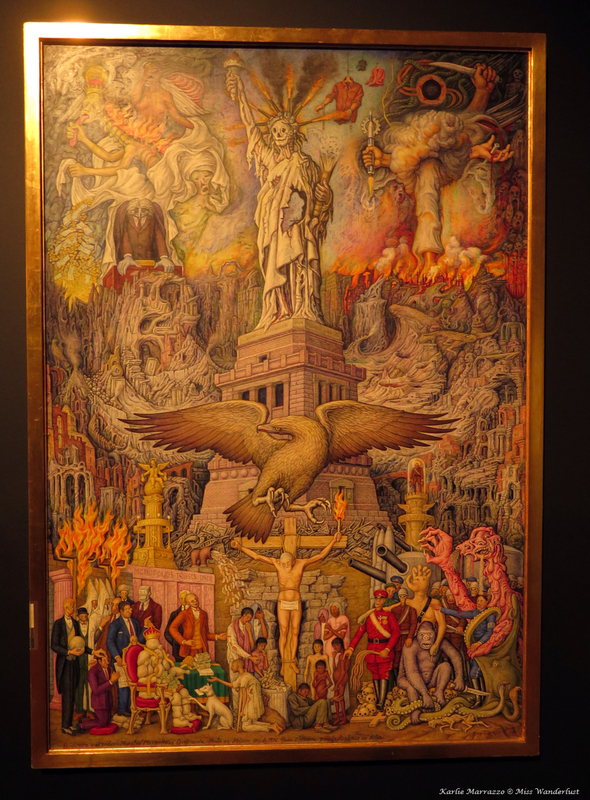 It depicts a hellish, post-apocalyptic world on fire, heavy with themes of religion, greed and corruption. We further enjoyed a wonderful exhibit from Mexican sculptor Francisco Toledo, and an exhibit from American photographer Lee Miller, which showcased portraits of famous painters, including Picasso, and unusual images taken at the end of World War II at Buchenwald concentration camp. 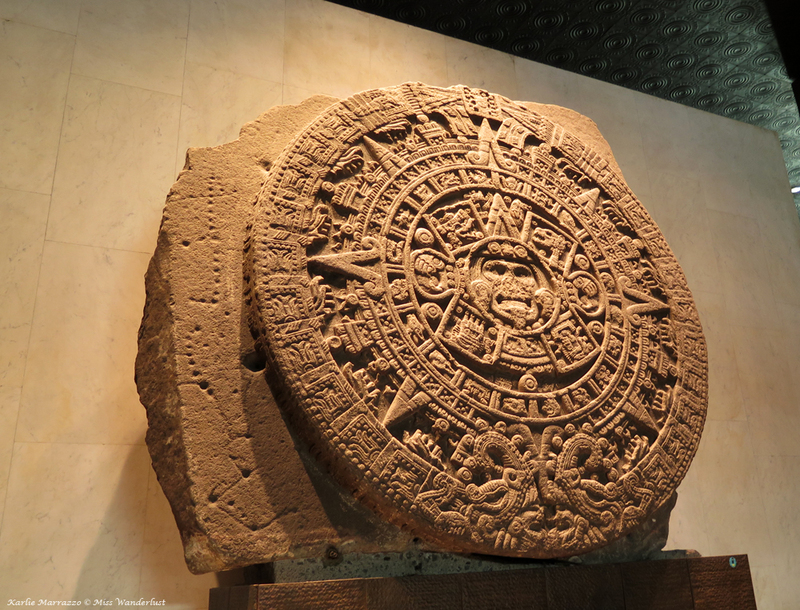 Mexico is rich in archaeological and anthropological treasures, and the National Museum of Anthropology, itself an architectural masterpiece, boasts an incredible, extensive collection of artifacts. 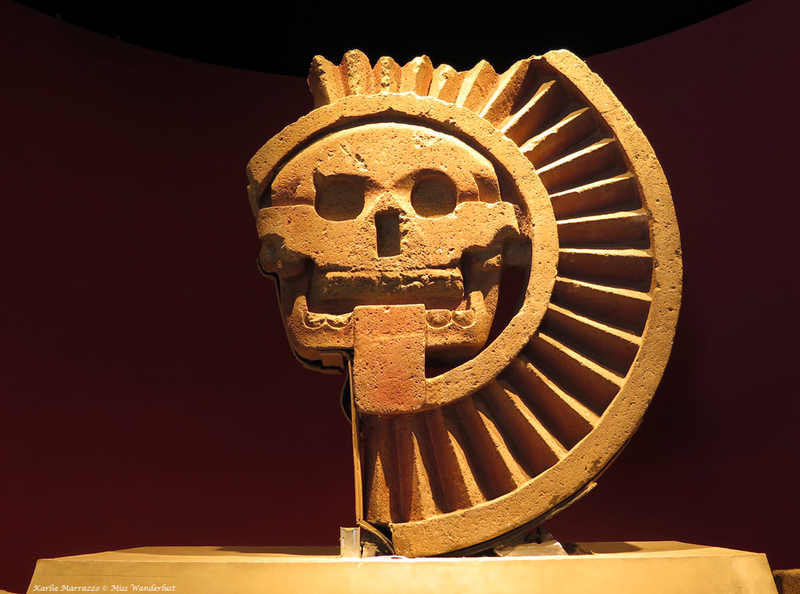 We made our way from room to room, trying to absorb facts while being visually assaulted by thousands of pristine pieces from pre-Columbian civilizations such as Mayan, Olmec and Aztec, to name only a few featured there. Horror stories abound from travelers to Mexico coming down with a case of Montezuma’s Revenge, a cheeky term for traveler’s diarrhea. In anticipation of this, my medicine bag was packed to the brim and I was ready for anything. I woke up on Monday with an unsettled stomach, but was able to nip it in the bud before it turned into anything traumatic. 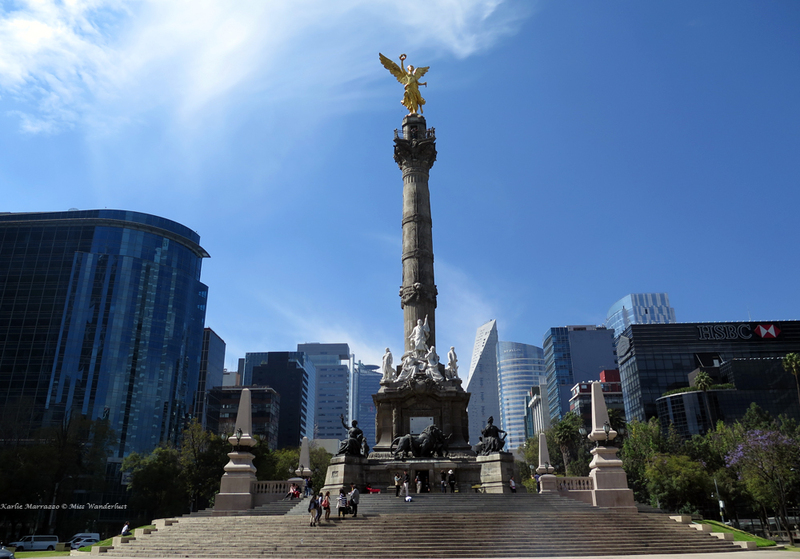 Nonetheless, we took it easy that day, visiting another icon of Mexico, the Angel of Independence, a victory column topped with a golden angel in the centre of a traffic circle surrounded by shiny glass skyscrapers and city life. Although we stayed in the centre of the sprawling city, most of the things we wanted to see required half an hour of travel time. We far surpassed our 10,000 steps per day, at least doubling it, pounding the pavement and riding the extensive metro system. Each and every metro car was packed like a can of sardines, the air stifling and hot. One day I decided to ride on one of the cars designated for women and children only, and was treated to a nearly empty and silent metro experience, with the exception of a sudden stop that resulted in a tiny Mexican grandmother ending up in my lap and breaking into a fit of laughter. The metro brought us to the Mercado de Artesanias La Ciudadela, home to over 350 vendors from all over Mexico and the first market of its kind in the country. The atmosphere was calm and quiet, unlike markets I have visited in other parts of the world such as Morocco and Turkey. Vendors did not call out or hassle us, which took away the anxiety of browsing with someone watching your every move. I was on the hunt for Mexican blankets and bought two – a rainbow patterned one and one in muted browns and black. Another favourite stall was packed with interesting tiles and cool skulls. We spent the rest of the afternoon shopping in Condessa, scoring sweet fashions from local designers. The next day promised to be a full one. 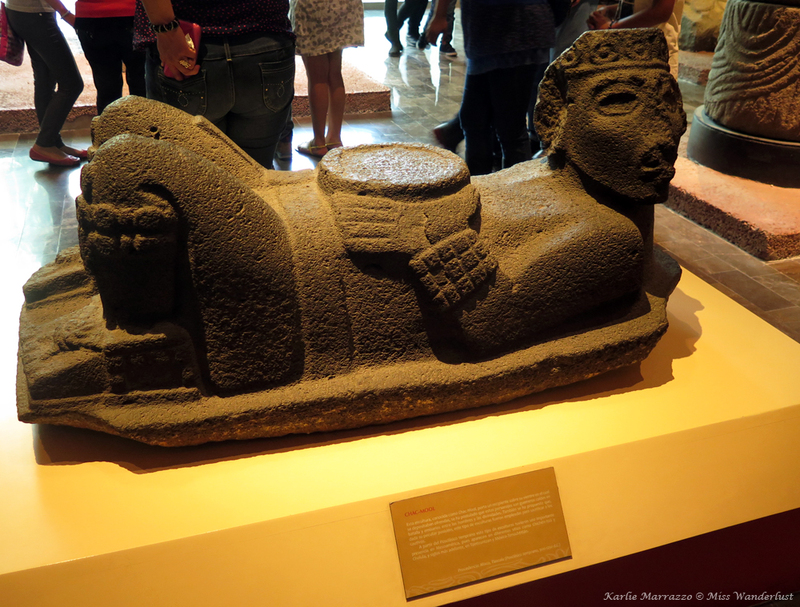 We were visiting two archaeological sites – the mega popular ancient Mesoamerican city of Teotihuacan, a UNESCO World Heritage site, and the lesser known warriors of Tula. Click here to read all about it! Great post, Karlie. 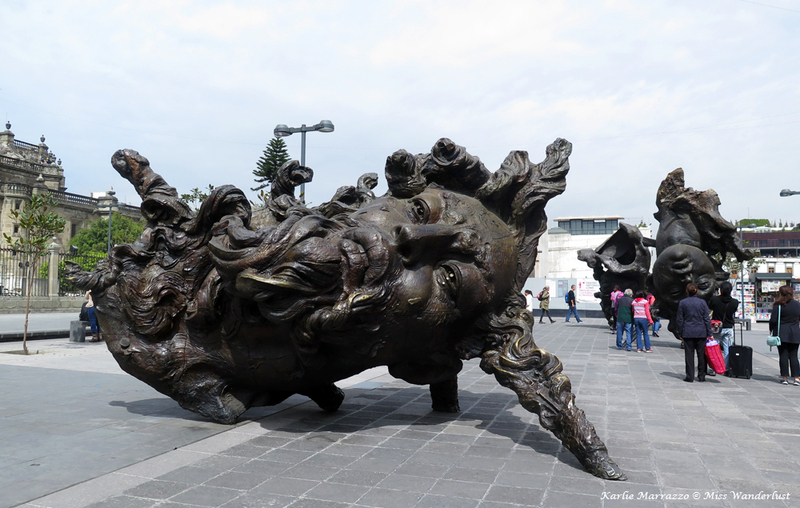 I’ve been intrigued by Mexico City (and a bunch of its larger inland cities) for a while now, but haven’t made it there yet…largely in favor of places longer flights away. Thanks Nick! I know where you’re coming from – I used to travel to places that were at least three flights and a day away. Having visited Nicaragua and Mexico in the last year has really opened my eyes to traveling to places closer to home (and with less jet lag). I think you’d love Mexico City! Awesome! There are so many more museums and galleries that I just didn’t have time to visit. Wonderful description of a city that I’ve thought of visiting. Congratulations on your post. I loved it! 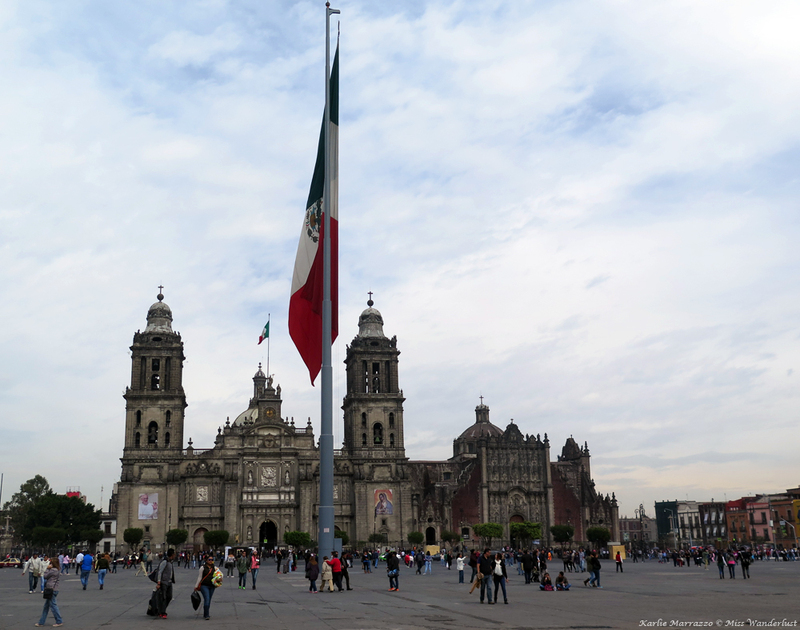 I’m a Mexico City native, and even though the city is very tourist-friendly, it gets snubbed in favor of other tourist spots. There are many wonderful things to see and do here, and I wish more travelers would stop by. Thank you for this wonderful post, it’s refreshing to read a positive review of my city. 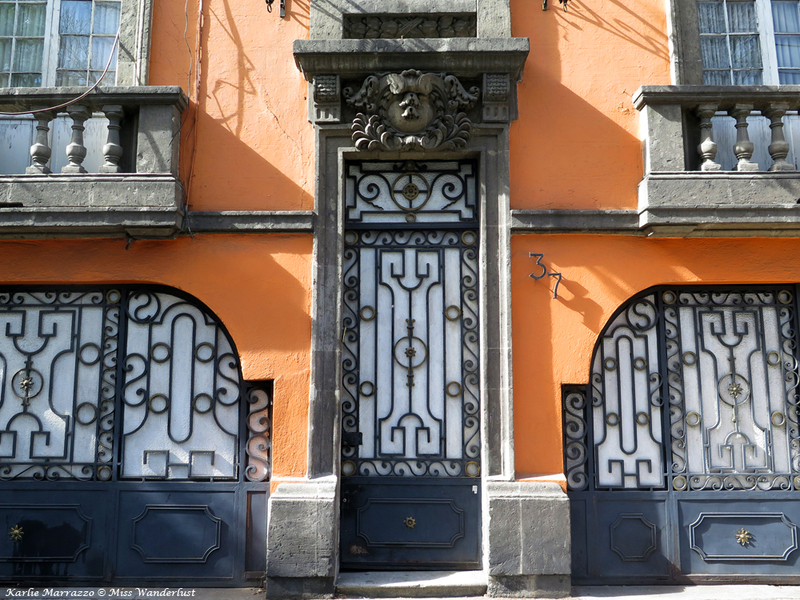 By the way, did you visit Frida Kahlo’s home in Coyoacan? It’s amazing!! Keep up the excellent coverage for Mexico City. 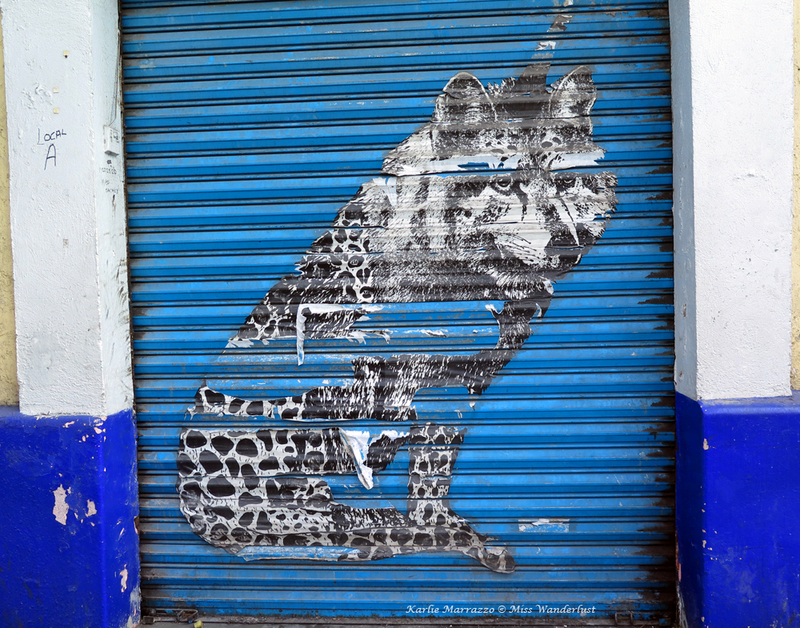 Mexico City is truly one of the great surprises for Americans who are no near and don’t go. Our women’s group is going again March 2017 and we can take a few more with us: sightseeing, gourmet restaurants and great central hotel.